If you’ve always assumed there’s no connection between your smile and your general well being, you might be surprised at what recent studies from The New England Journal of Medicine and The Journal of the American College of Cardiology have reported. In both cases, it was found that inflammation in the mouth contributed to coronary artery disease and other heart conditions, drawing a direct link between oral health and heart health. 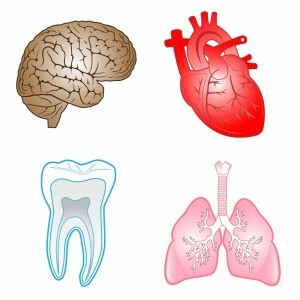 But it’s not the heart that can be affected by poor oral health. Inflammation in the mouth has also been shown to have a connection with health conditions like rheumatoid arthritis, diabetes complications, stroke, Alzheimer’s disease, pneumonia, pre-term birth and more. It means that looking after your smile is more important than you might have realized. You already knew, of course, that it was important to watch out for gum disease and tooth decay, but this new information makes regular visits and brushing and flossing even more important. How Long Has It Been Since Your Last Regular Exam and Cleaning? Our Randolph office serves patients from Rockaway, Mendham, Chester, Morristown, Denville, Morris County, and surrounding areas. We look forward to hearing from you.